Colored and styled to evoke the famous Philadelphia park, the Daltile Rittenhouse Square 3 in. x 6 in. Matte Elemental Tan Ceramic Right Bullnose Trim Tile features a glazed, smooth finish with a low sheen and a slight variation in tone to complement your decor. 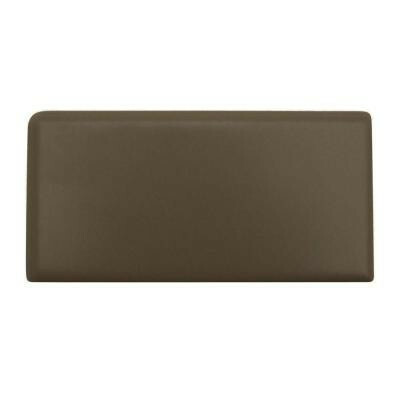 This tile may be applied to walls, backsplashes and countertops for versatility and unity in your tile installation. You can buy this product in our internet market. We will be glad if you make the right choice.